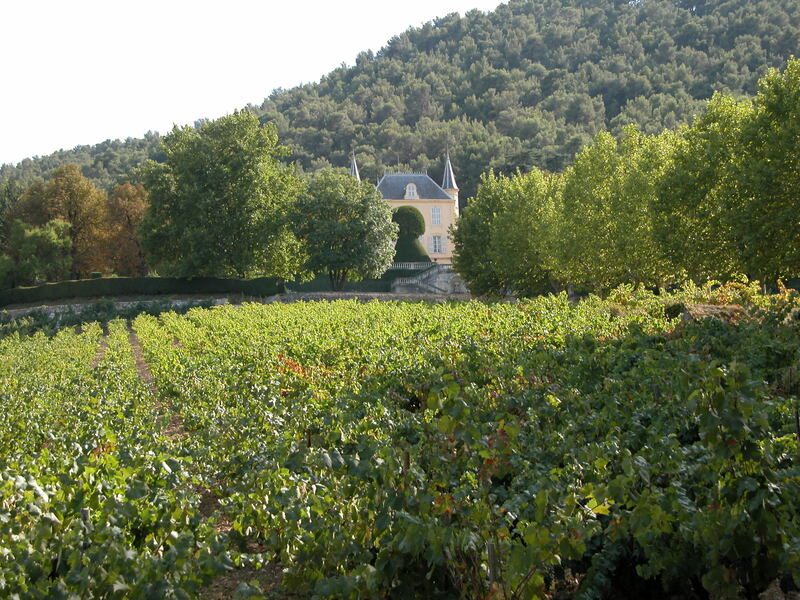 Its elegant silhouette stands between two majestic yew trees against a background of wooded hills before the Sainte Victoire mountain, so dear to Cézanne. 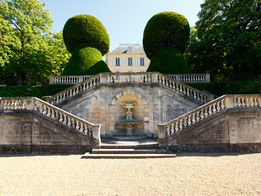 It is firmly established on a vast terrace overlooking the oldest parts of the vineyard with a fountain by the famous Marseille sculptor, Jules Cantini, and a large flight of steps leading to the grounds. 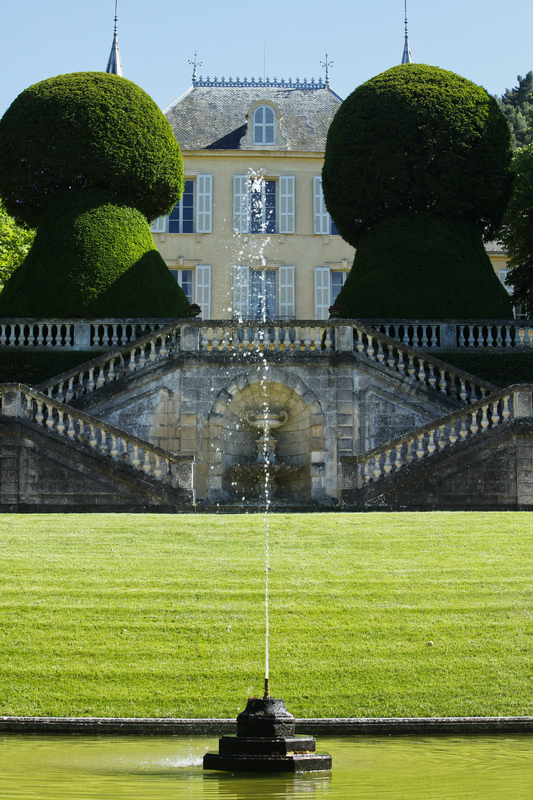 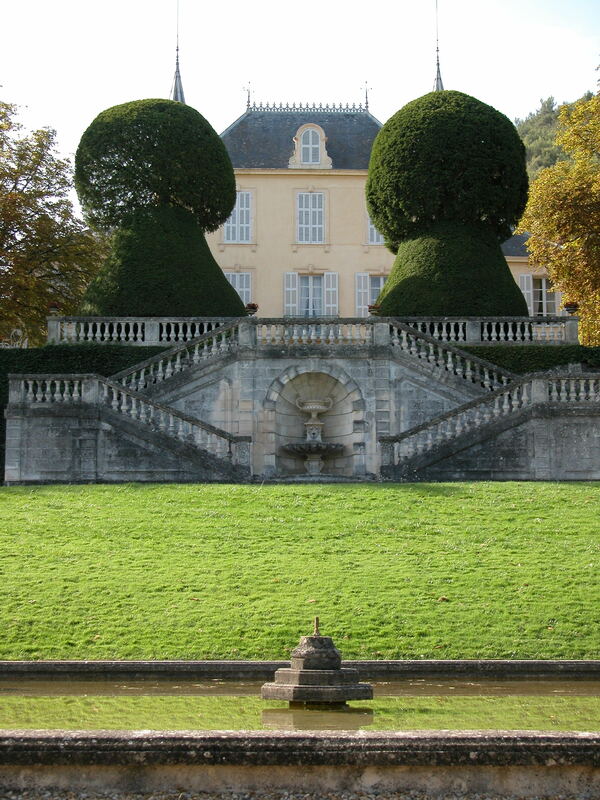 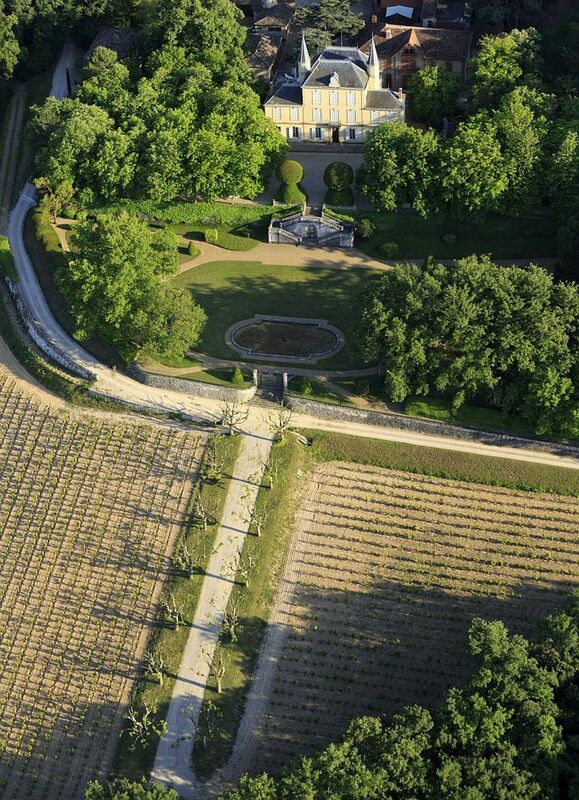 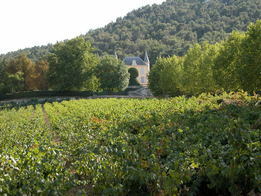 The gardens of the estate are tastefully landscaped with a variety of shrubs and greenery arranged around a pond, forming a link with the vineyard that rolls down to the banks of the Arc in a series of successive terraces.